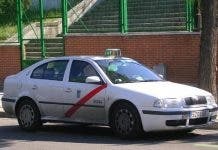 BENALMADENA Town Hall has ordered the closure of a rubbish collection facility after it collapsed and killed one worker. A binman for the rubbish collection service GSC Benalmadena was working on a set of underground containers when the ecological island fell on him. “The man was sitting on the island and it suddenly collapsed. He kept shouting and shouting. The bins were on top of him for about 20 to 30 seconds, but we were finally able to remove them. I thought he had died, with blood covering his groin and legs,” recounts Claudio Borbone, a resident of the housing complex located just metres from the island. 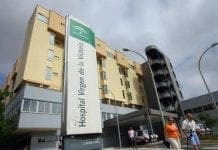 The 53-year-old man was quickly taken to Malaga Hospital in critical condition, but died soon after from excessive bleeding. Authorities now believe the accident could have been the result of a possible failure of the hydraulic system but, until the causes are confirmed, the town hall has issued a temporary closure of the premises. It comes just 10 days after another bin worker lost three fingers in a similar incident. A spokesman for the trade union CCOO has denounced ‘the lack of security measures’ in place for rubbish collection, which puts bin workers at risk for injury or even death.